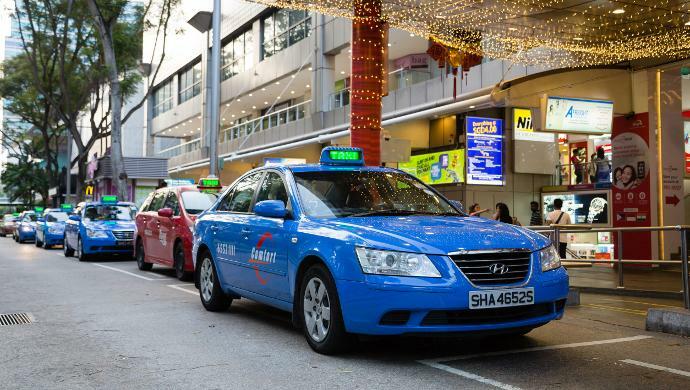 Singapore’s Land Transport Authority (LTA) has announced it may allow taxis and private-hire car operators trial courier services. During a Parliament session yesterday, Senior Minister of State for Transport Janil Puthucheary said that LTA will talk to these ride-hailing firms to discuss whether it is feasible to trial courier services and will work to ensure that the services cause minimal disruption to the supply of vehicles for consumers. LTA will also work with the firms to ensure they safeguard their passengers well and provide necessary third-party insurance coverage. Currently, the law prohibits taxis and private-hire cars from doubling as courier riders. Those found to have violated these rules might have their vocational licenses revoked. Southeast Asia ride-hailing giant Grab has partnered with Vietnam-based digital payments provider Moca to accelerate cashless payments adoption in Vietnam. Grab’s customers in Vietnam will soon be able to use Moca’s full suite of payments services, which include bill payments, airtime top-up as well as paying at retail stores including chains such as McDonalds and 7-Eleven. “The Grab and Moca strategic partnership helps promote this digital lifestyle, and we expect exponential growth of mobile payments driven by Moca and Grab across Vietnam,” said Tran Thanh Nam, Co-founder and CEO, Moca. Singapore-based mobile medical service provider Speedoc has announced it is now part of the Ministry of Health’s (MOH) regulatory sandbox – Licensing Experimentation and Adaptation Programme (LEAP). The company will work closely with MOH to review workflows, understand service models, and work through risk identification and mitigation strategies in healthcare. The company will also be able to introduce new healthcare models or evolve its current models in a safe manner, with early visibility over the eventual regulatory environment. The end goal is to help Speedoc meet patient safety and welfare requirements, and transition more seamlessly into the eventual regulatory framework. Baby care startup Mamaearth has raised US$4 million in Series A round funding led by Stellaris Ventures and Fireside Ventures. It will use the newly-raised funding to expand its team, invest in further product R&D, build a retail presence, scale up their direct consumer reach, and build brand awareness. Founded by husband and wife duo Varun and Ghazal Alagh, Mamaearth claims its baby and mama care products are free of harmful chemicals such as parabens, sulfates, and artificial fragrances. NETS’ mobile payments app, NETSPay, has signed a partnership with global payments service UnionPay, allowing the former’s users to conduct transactions overseas using the app. There are currently over 7.5 million UnionPay QR code merchants and 12 million UnionPay QuickPass contactless acceptance points. The integration of UnionPay also allows NETSPay users send e-angbaos (or electronic red packets) to friends or family. “The enabling of NETSPay acceptance at UnionPay QR code merchants and UnionPay QuickPass contactless acceptance points around the world will allow local NETS users to make QR code and contactless payments … at key destinations such as Australia, China, Hong Kong, Japan, Malaysia, South Korea and Thailand when they travel overseas,” said Wenhui Yang, General Manager for UnionPay International South East Asia. The post Today’s top tech news, September 11: Singapore’s transport authority may let ride-hailing firms trial courier services appeared first on e27.